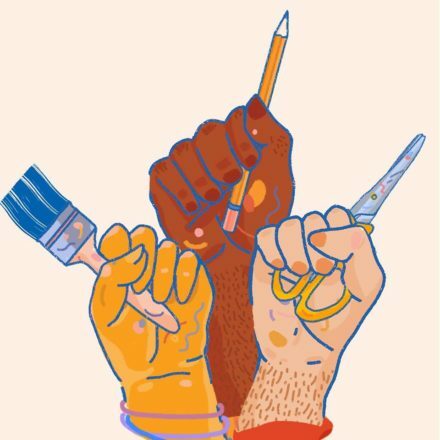 Over Here Zine Fest is a not-for-profit event showcasing the work of Black/Asian/BAME/POC zine makers, artists, writers and activists and it’s happening on October 13th (next week!!!) at Sachas Hotel on Oldham Street. Everyone’s welcome, and entrance is free, so come along for zine shopping, talks (some of the talks are for people identifying Black/Asian/BAME/POC only, but it’ll be clearly advertised on the day) and hanging out with some extremely nice people. You can find out more info over on the Over Here Zine Fest website, tell your friends you’re going on the Facebook event and follow them on Twitter. And if all of that wasn’t exciting enough, we’re going to have a little pop up library there throughout the day too. We’ll be around from 12pm-4pm and you’ll be able to pick up zines from the collection and go and have a read.